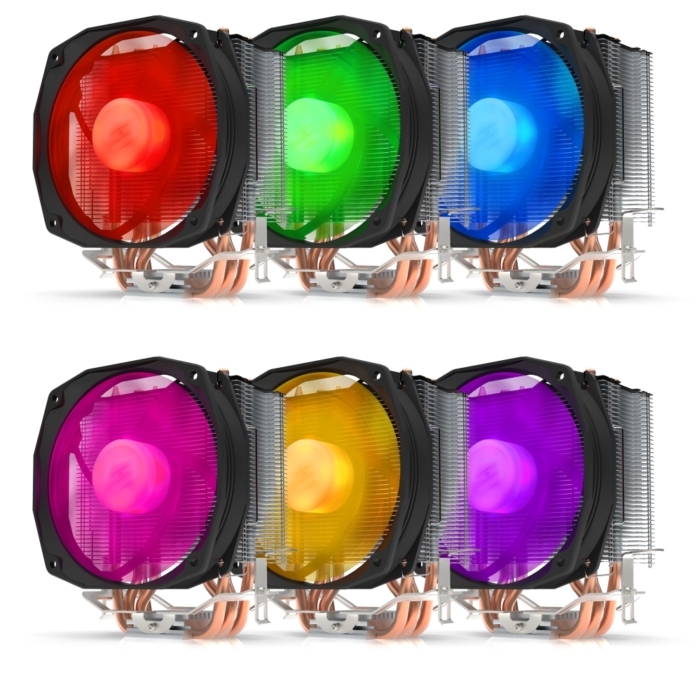 Illumination system lights up the fan with a stunning yet discreet colors and effects. You can control this feature manually, using the included Nano RGB controller which has several pre-defined modes. 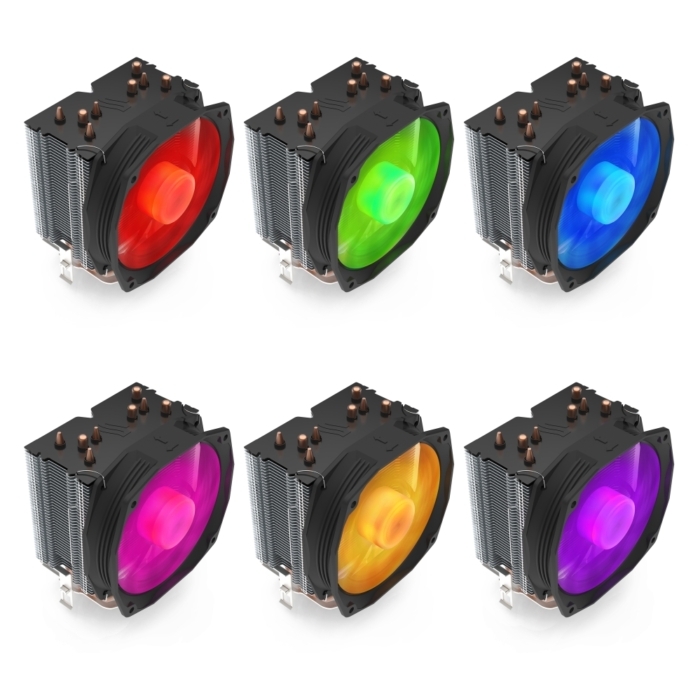 Additional button speeds or slows down each of the effects and can also turn the illumination off completely. Spartan 3 Pro RGB also works with compatible, RGB capable motherboards or with Aurora Sync controller available in SilentiumPC Armis TG RGB cases. 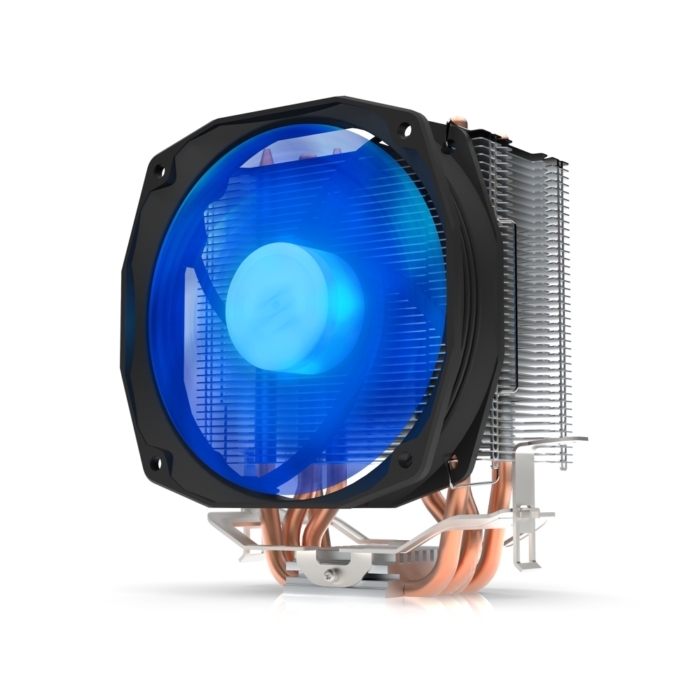 Spartan 3 PRO RGB HE1024 is a cost-effective alternative to stock CPU coolers and it is intended for professional system builders and DIY projects on a budget. 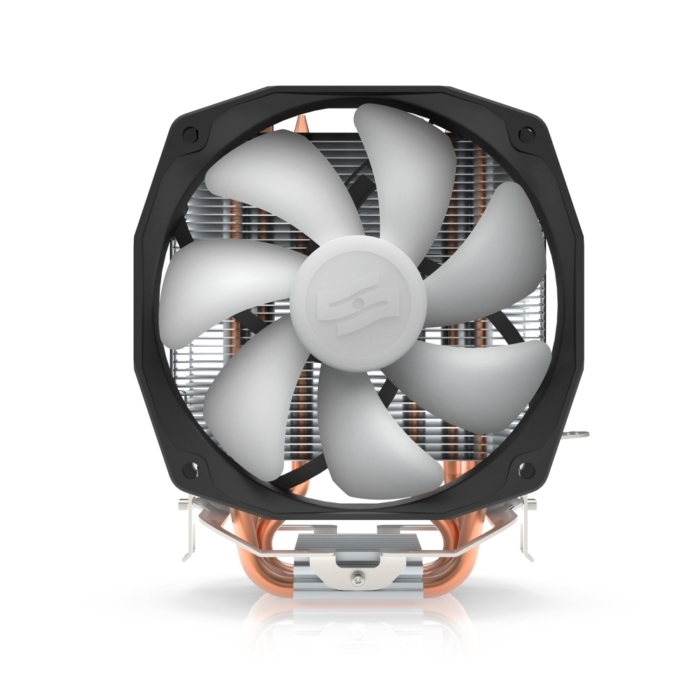 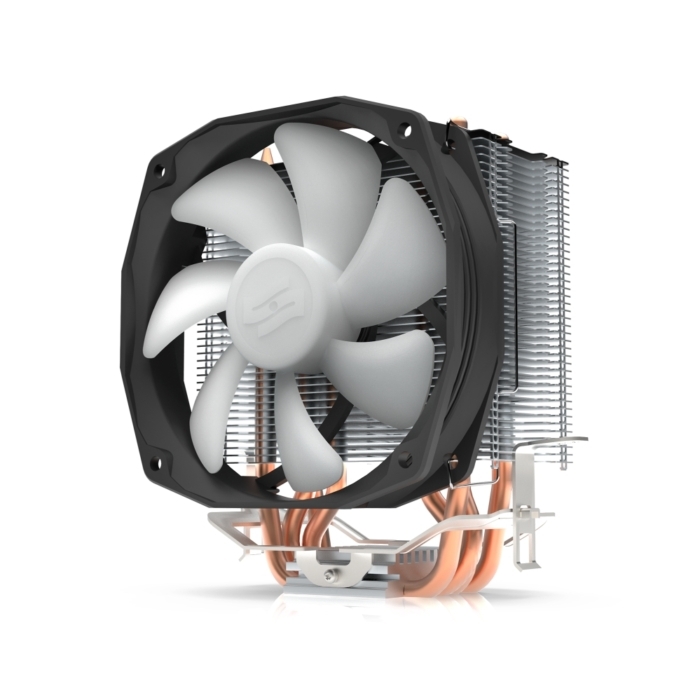 This extremely compact and lightweight cooler utilizes four 6mm heat-pipes and aluminum heatsink for excellent cooling performance and oversized Sigma PRO RGB 100 PWM-controlled fan for quiet operation. 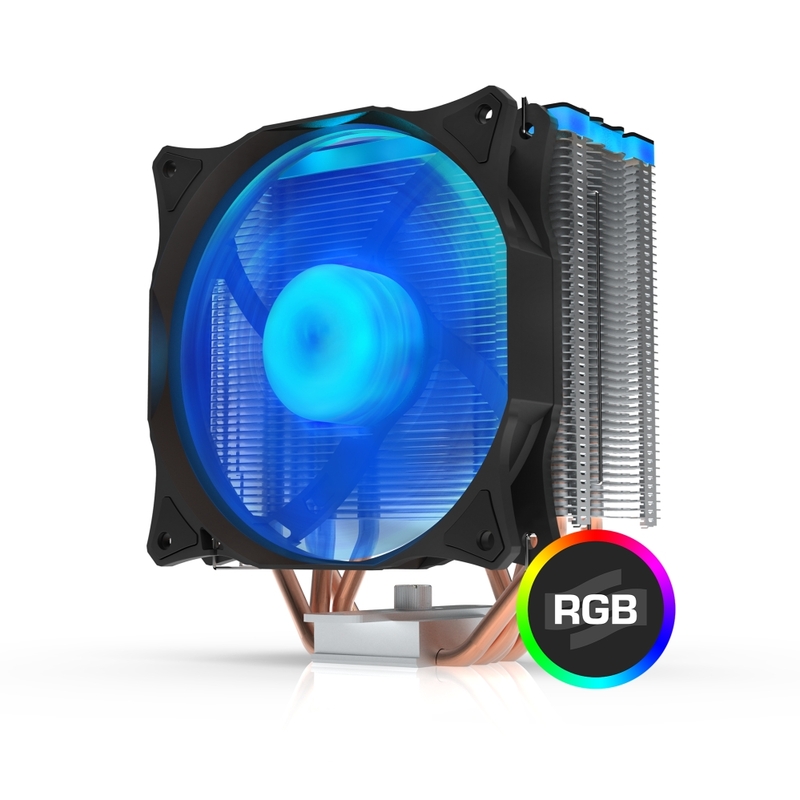 RGB Illumination system lights up the fan with a stunning yet discreet colors and effects. 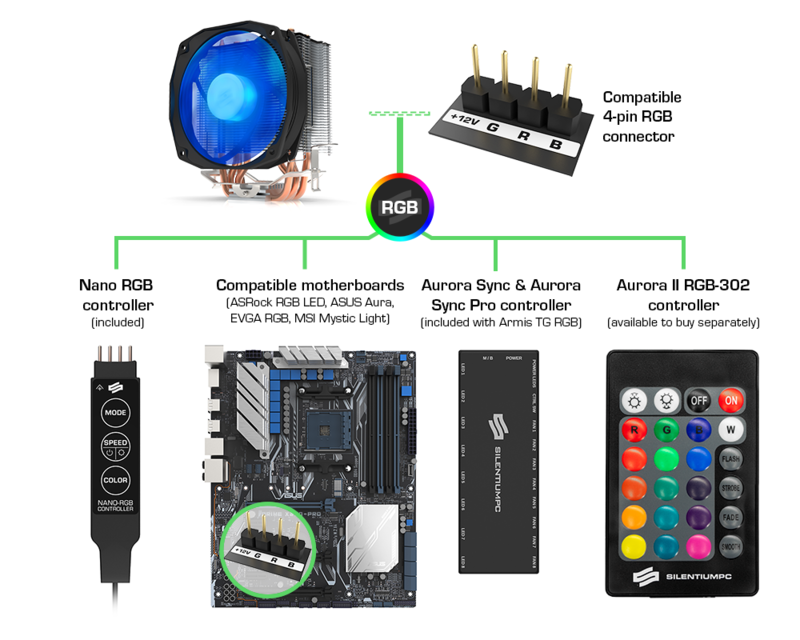 Supporting all major motherboard RGB systems such as Asus Aura as wells as manual control via included Nano RGB controller the Spartan 3 PRO RGB is a ready-to-go RGB solution. 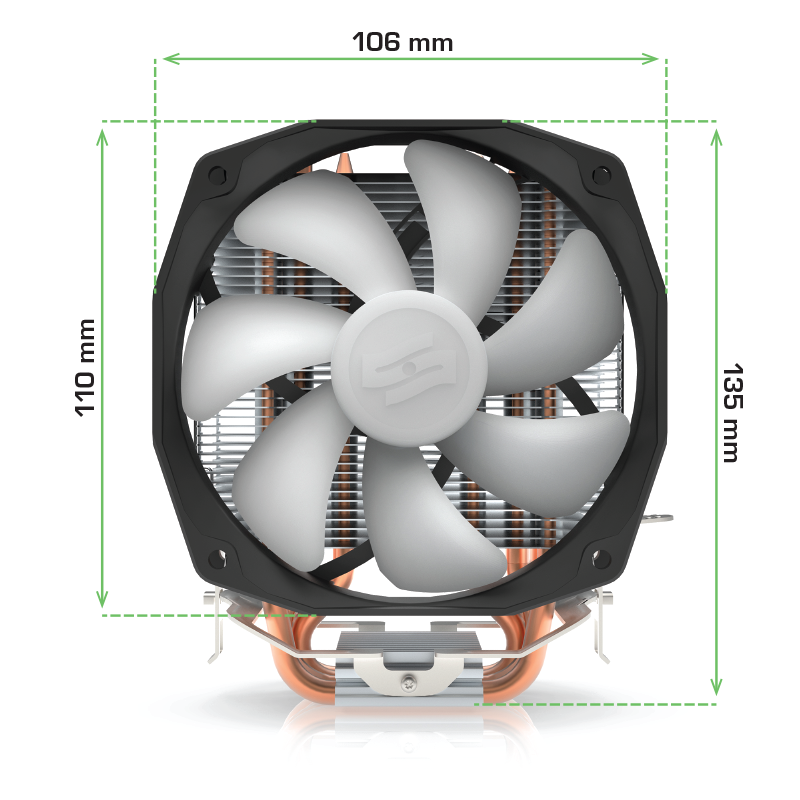 Installation process is extremely easy and doesn’t require any tools, just apply included, high-conductivity thermal compound on your CPU, put the mounting bracket into your motherboard, clip the Spartan on and you’re good to go. 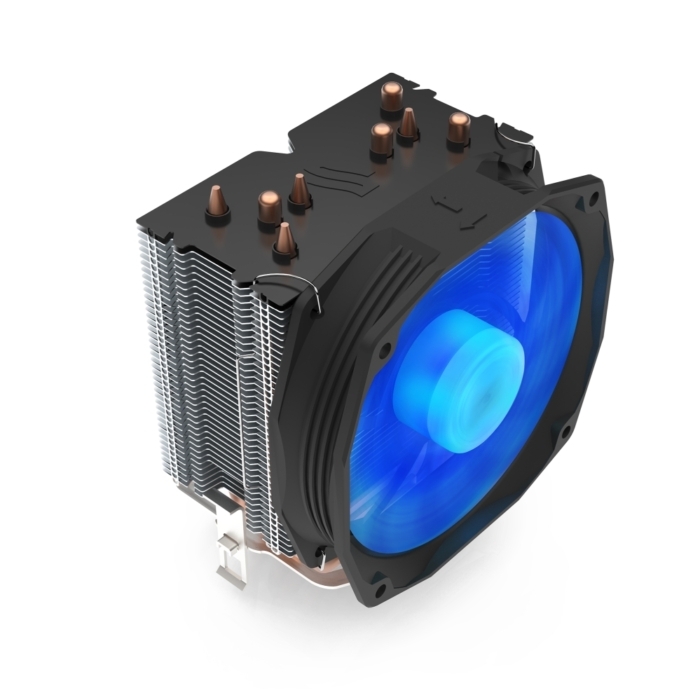 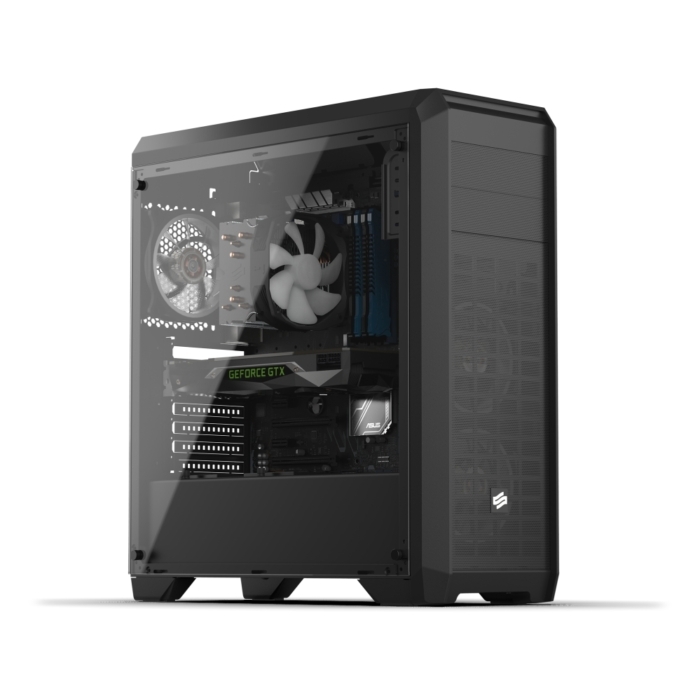 Spartan 3 PRO RGB utilizes oversized Sigma PRO RGB 100 mm LED-illuminated cooling fan. This PWM-controlled fan is being extremely silent and efficient at top speed of 2000 RPM, also features a removable rotor for easy cleaning. 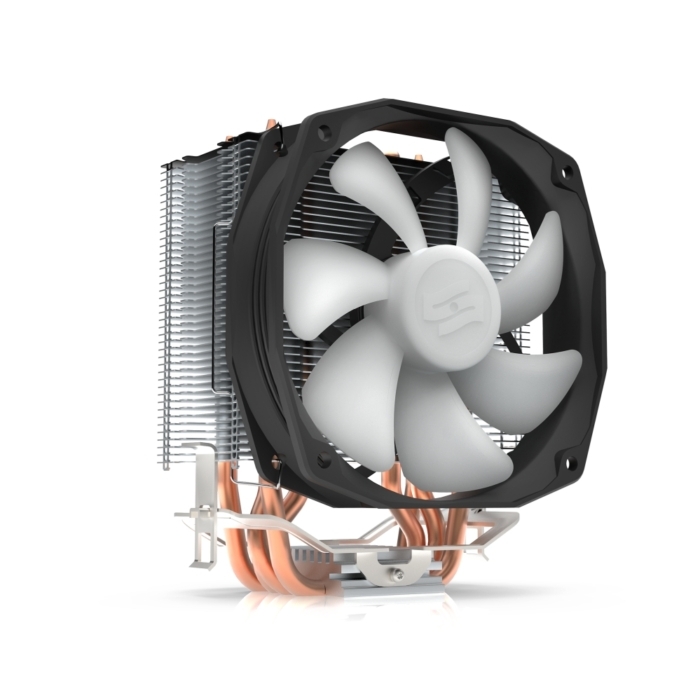 Spartan is extremely compact and fits about everywhere while not interfering with other components such as RAM modules. 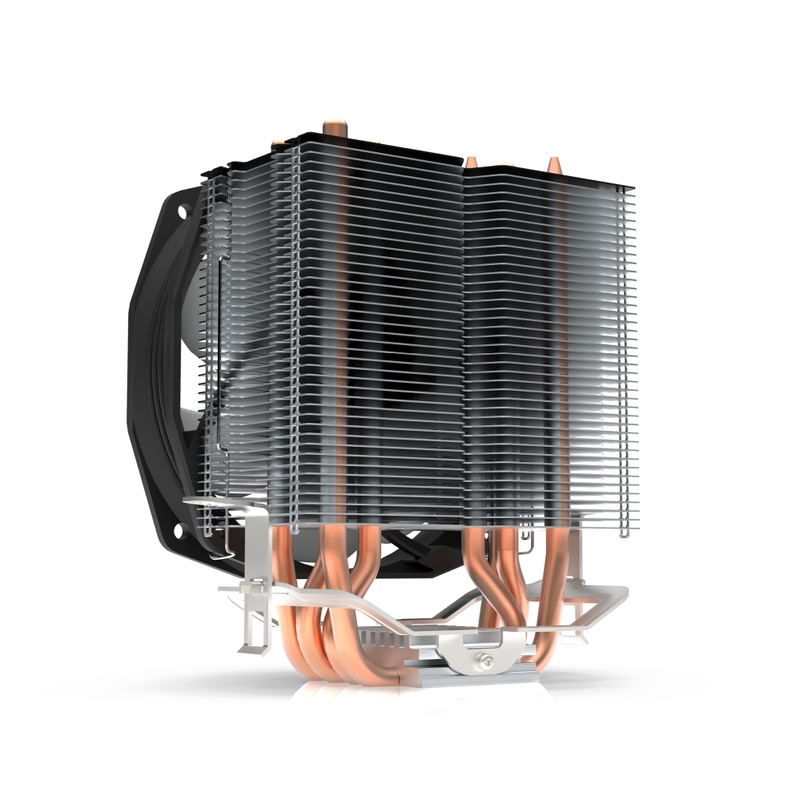 Also being lightweight at 476g it doesn’t exert excessive pressure on the socket which allows for safer transportation of assembled PC. 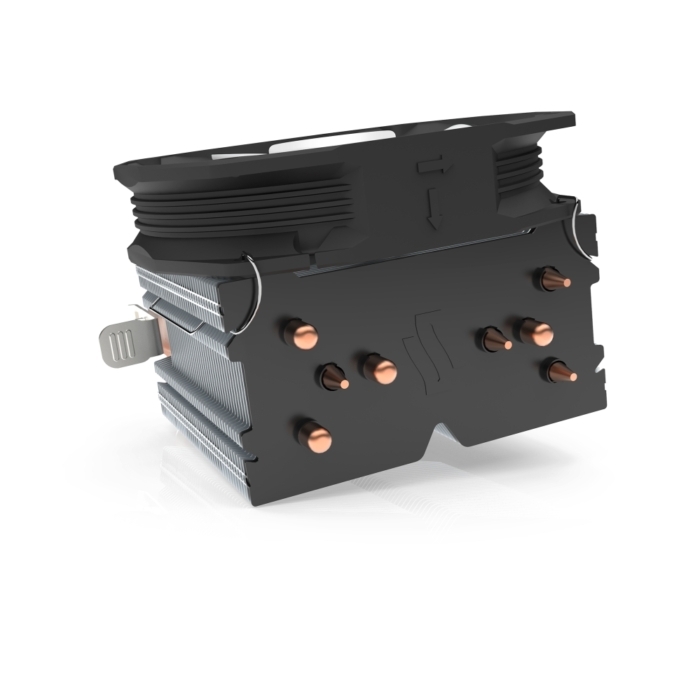 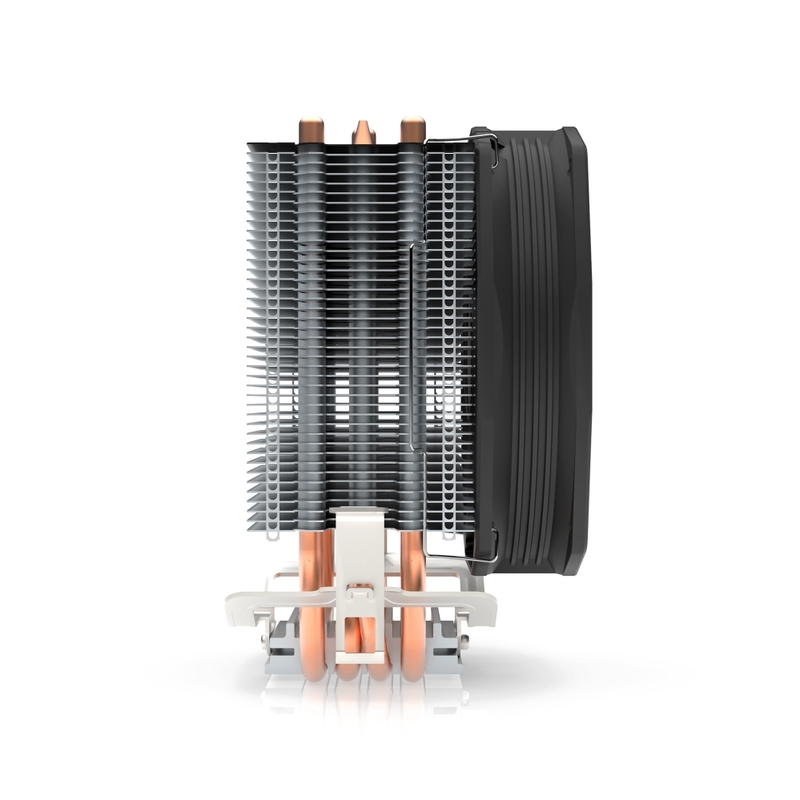 Thermal platform utilizes asymmetrical heatsink an four Φ6mm high performance heatpipes with HE technology, direct contact between with the CPU for fast and efficient heat transfer and dissipation. 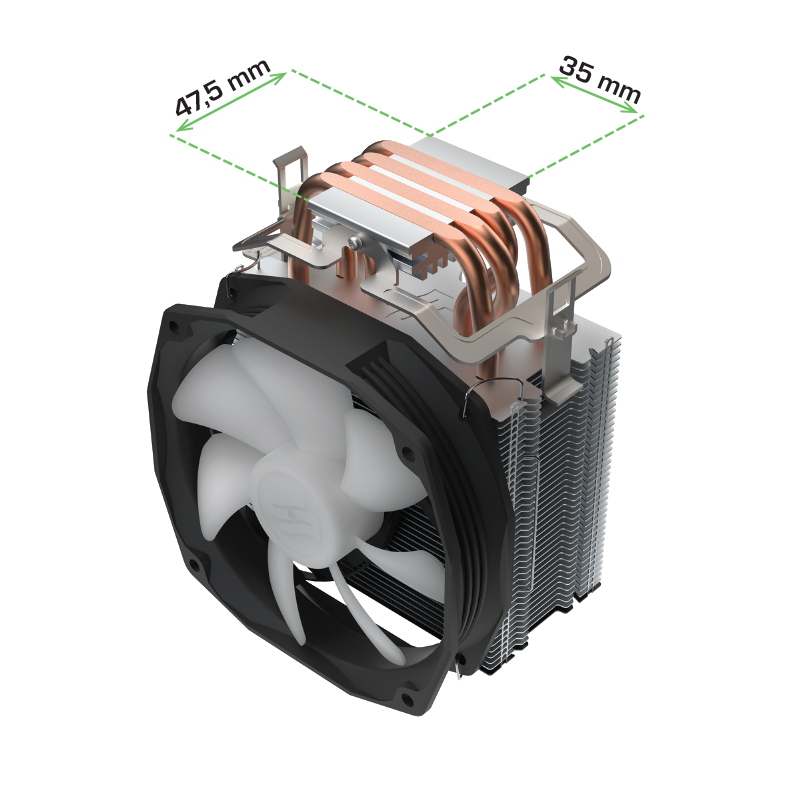 The cooler comes with an uprated Pactum PT-1 (4.0W/M.K) thermal compound included in the package for increased performance over generic thermal greases. 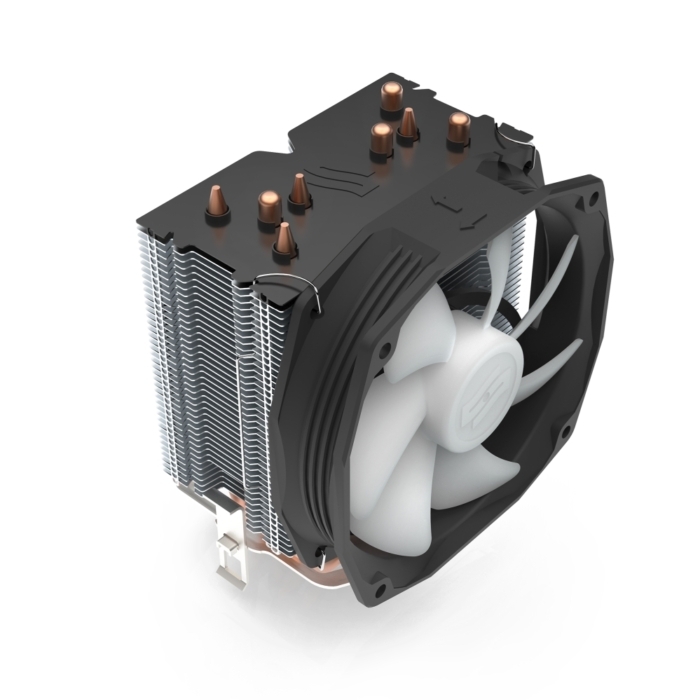 Extremely simplified clip-on mounting mechanism allows for secure and intuitive installation process on both Intel and AMD platforms. 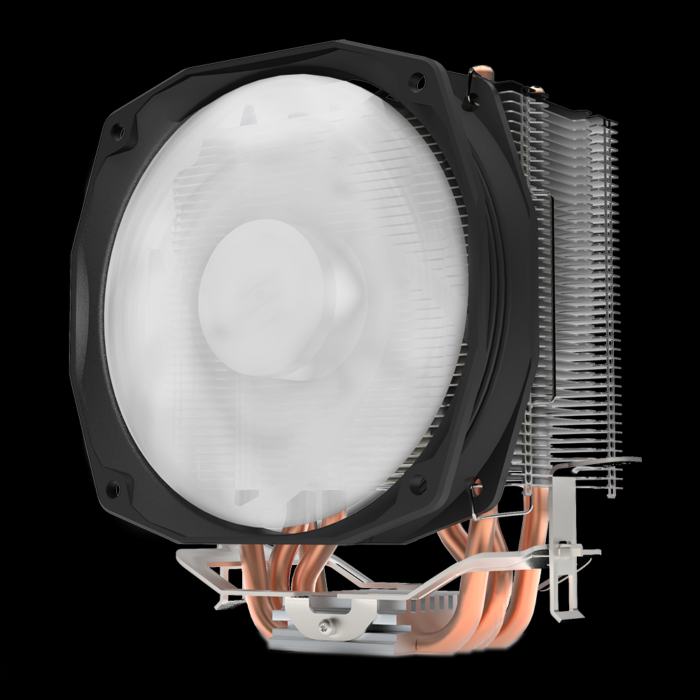 Attached step-by-step user manual and video guides on Youtube enables any user to have the cooler safely fitted onto the processor. Caution! HE technology (direct contact between heatpipes and CPU) requires using dense thermal compound, like the one included in the package. 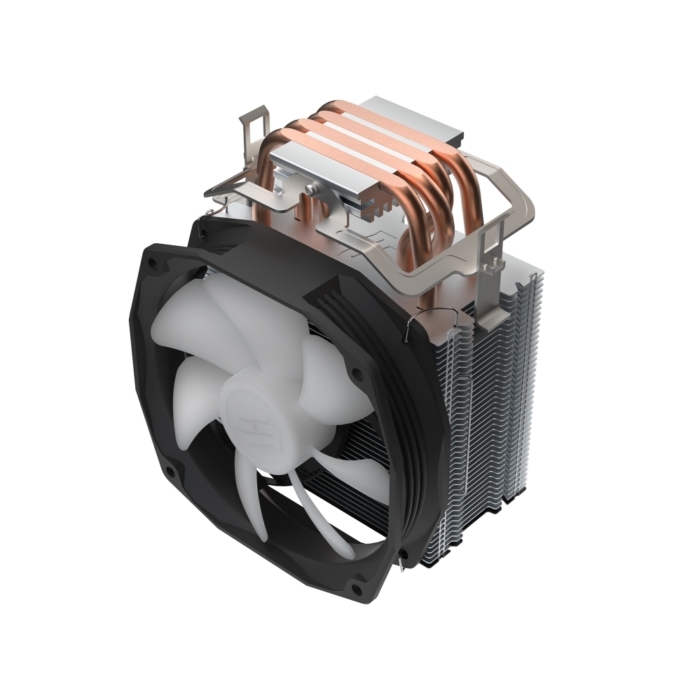 Thermal compounds applied with brush are too thin and affect the cooling performance unfavourably. 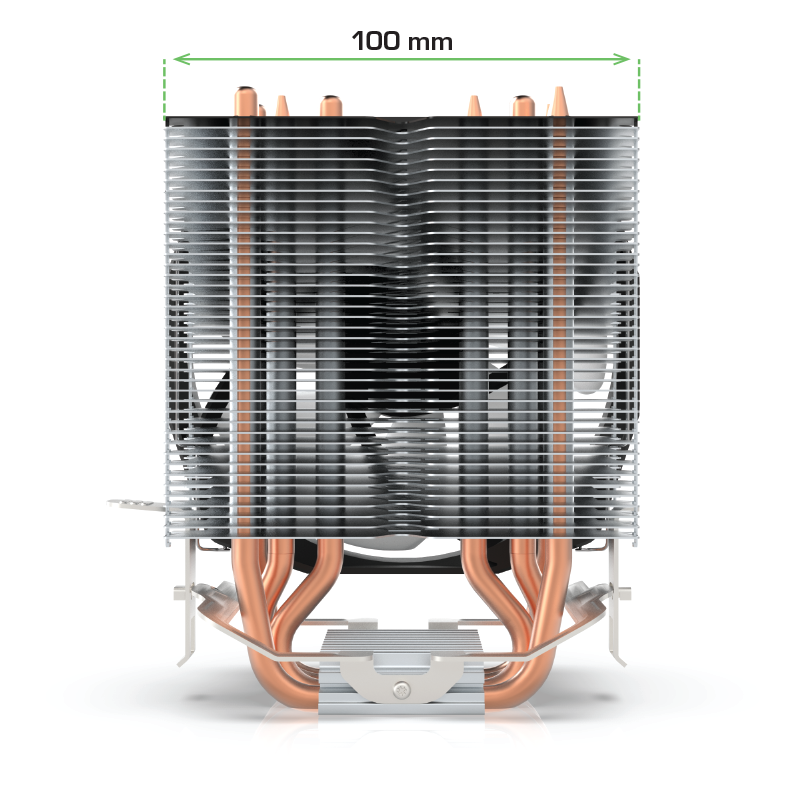 Using Coollaboratory Liquid Pro/Ultra is not allowed with this product, beacuse it causes corrosion of aluminum base. 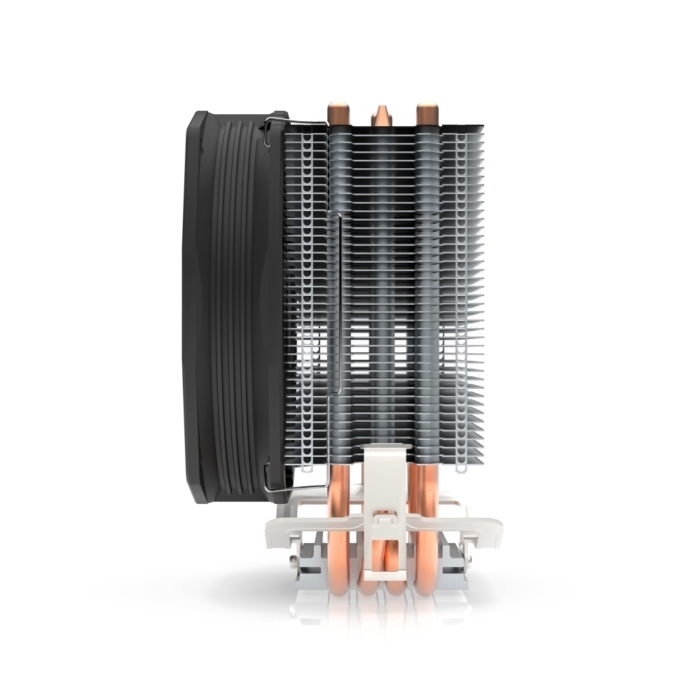 Complaints with corroded radiators will be rejected.